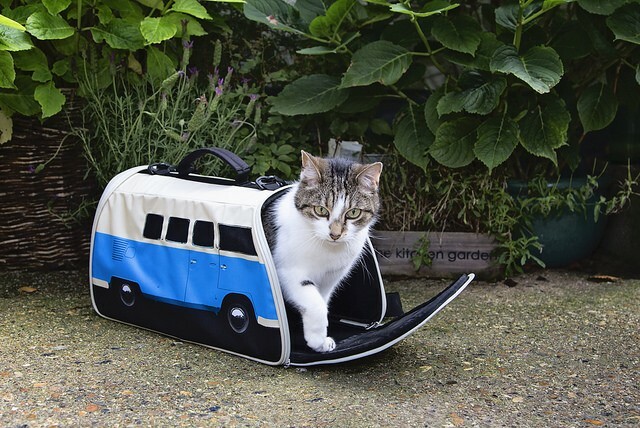 Looking to do some traveling with your cat or small dog? Sure you could go with the bubble backpack pet carrier and allow your cat or dog to have a window to the world while you walk around. Or, if your pet is more on the "Born To Be Wild" side of life, you may want to opt for a Volkswagen Camper Van pet carrier. The unique carrier for your dog or cat will make it look like your pet is being hauled around in a mini VW hippy bus. 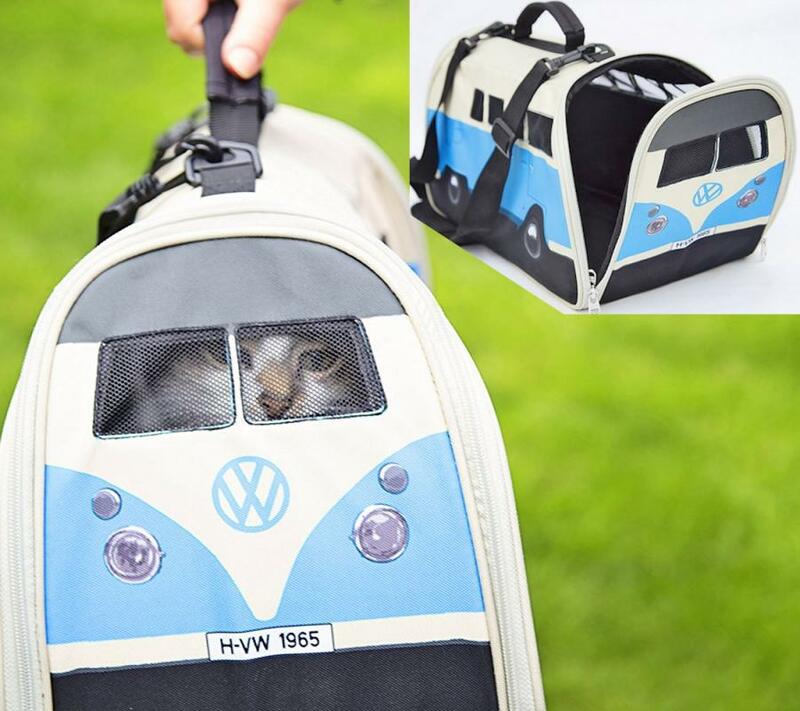 The pet carrier features little realistic windows around the bus that your pet can look out of, and is pretty much an exact replica of the 1965 Volkswagen camper van. 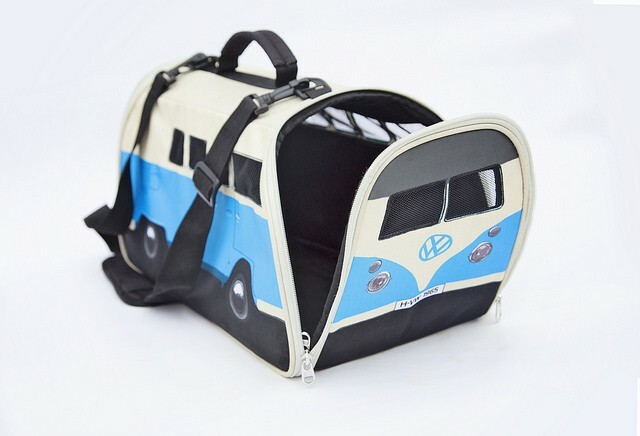 The VW hippy van pet carrier offers a sturdy and robust floor that will always have a flat surface for your pet to sit/lay on while being transported, and has mesh windows throughout the van for excellent ventilation. 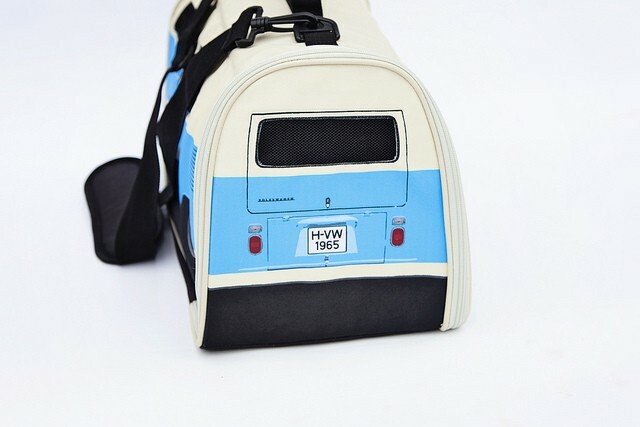 The hippy van pet carrier is made using a heavy-duty handle along with a detachable padded shoulder strap so you can carry your pet with your hand or over your shoulder. It's made from a sturdy oxford canvas which is finished with a polyurethane coating that makes it waterproof along with making it super easy to clean. 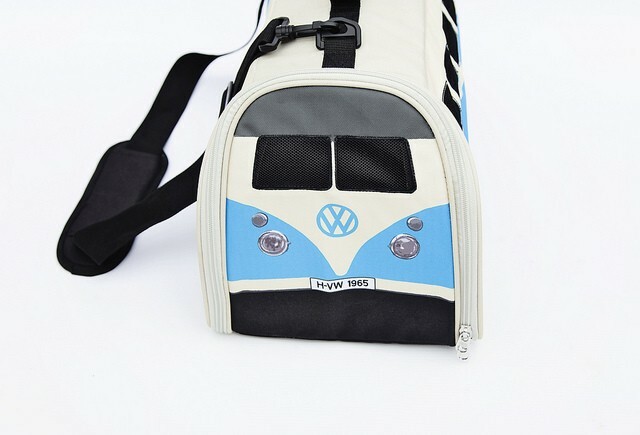 The VW hippy van pet carrier is made to transport dogs or cats up to 10 lbs in weight, offers front and rear zippers for double access to your pet, plus this allows for the carrier to fold flat for easy storage. 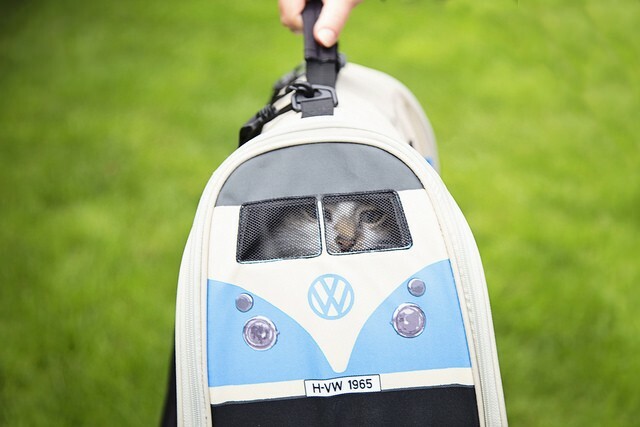 When fully set up, the VW pet carrier measures 23.6 inches long x 11.8 inches wide x 11.8 inches tall.